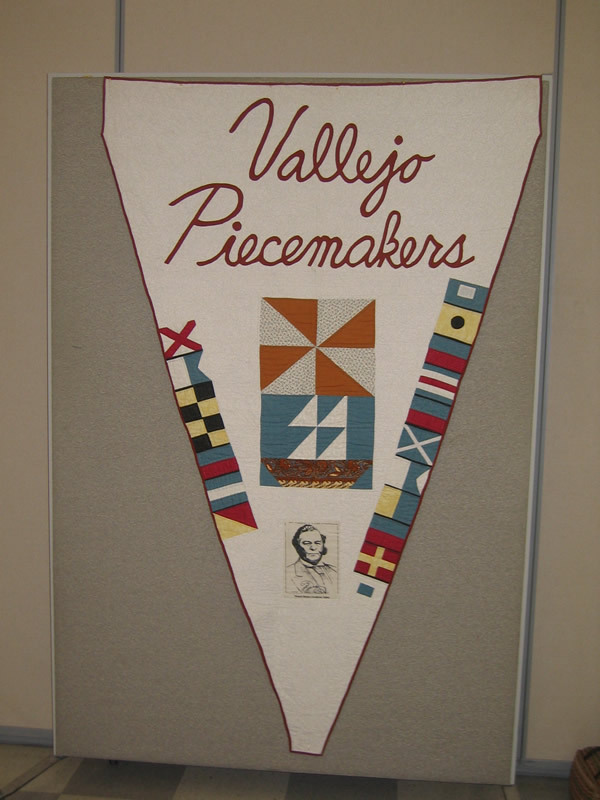 The Vallejo Piecemakers began in August of 1987. There were nine original members who decided to form our club. The first newsletter was published and the first Opportunity Quilt, based on a sailboat theme, was begun that year. This sailboat became the quilting club’s logo. This small group of women came together once a month to share the beauty and history of the American folk art of quilting with the community; to encourage quilt making and collecting; to sponsor and support quilting activities; to be a source of information, education and inspiration and to further the personal rewards of quilters sharing a common interest. Four of these women are still with our club today and it has grown to over 100 members, with more joining each month. Welcome to the Vallejo Piecemakers website. If you are interested in bringing your Opportunity Quilt to one of our meetings please email visiting-guilds@vallejopiecemakers.org to schedule a visit.